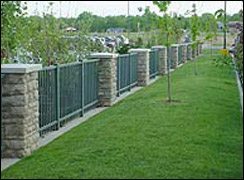 Our various material solutions include steel, wood, chain link, welded fence and PVC fence that can also be complimented by brick or stone for a very functional and attractive look for a particular brand. We take great pride in serving the needs of our many retail store clients that include such notable companies as Target, Walmart, King Soopers, Safeway and Home Depot. They call on us for design, fabrication, installation and repair services. 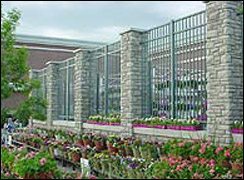 Our solutions for retail stores include applications for privacy, security, ornamental curb appeal, and highway /right of way fencing. 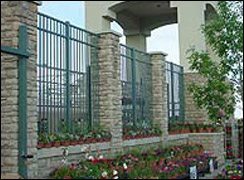 We also provide Garden Center fencing, hand and balcony rails, dumpster enclosures, shopping cart corrals, secure storage cages, rack systems and more.